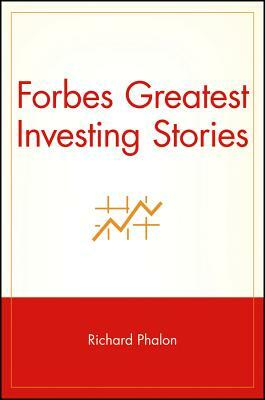 In the tradition of the bestselling Forbes(r) Greatest Business Stories of All Time, Forbes(r) Greatest Investing Stories focuses on profiles of fascinating people who have achieved success in a range of investing arenas. This volume chronicles old-time innovators like Benjamin Graham, the father of value investing; Hetty Green, the Street's first female stock picker; T. Rowe Price, founder of one of the largest mutual fund families; and Georges F. Doriot, the driving force behind the first publicly owned venture firm in the United States. Others featured include such modern-day legends as Tom Bailey, founder of Janus Funds; Marty Whitman, value investor supreme and manager of the Third Avenue Value Fund; and Muriel F. Siebert, the first woman admitted to the New York Stock Exchange. Packed with investing lessons, wisdom and even the story of the swindle of the century, Forbes(r) Greatest Investing Stories makes an engrossing read and a great gift for any investor or market mogul. Richard Phalon (New York, NY) has been a contributing editor at Forbes since 1980. He covered personal finance, Wall Street, urban affairs, and politics at the New York Times for sixteen years before joining Forbes. He is the author of The Takeover Barons of Wall Street and Your Money: How to Make It Work Harder Than You Do.